A fun thing about Masonic symbolism is that you can look at it with different approaches. Some see only Christian or Jewish symbolism, others will compare it to the mysteries of Mithras. 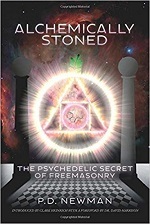 Here we have an author who has found “The Psychedelic Secret of Freemasonry” as the subtitle for this book goes. The author had extensive experience with entheogens before joining a lodge. Entheogens are psychoactive substances found in plants and fungi. 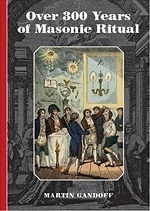 He recognised Masonic symbolism from his previous experiments and wrote this little book (180 pages) about his findings. This leads to some interesting suggestions. Newman found several kinds of Acacia that contain entheogens giving a new meaning to the symbol of the Acacia in Freemasonry and perhaps even a suggestion as to how “Cassia” later became “Acacia”. In a similar vein Newman explains the strange double meaning of the second degree password which feels forced with the normal explanation, but which makes perfect sense from ‘an entheogenic point of view’. With the fly agaric mushroom he more of less leaves Masonic symbolism and he finds references to this white-spotted red mushroom in Grail legends, among the Rosicrucians and with Aleister Crowley who supposedly used his sexual symbolism to hide his mushroom experiments. After authors with similar theories about the mysteries of Mithras, even religion in general, Newman pulls the psychedelic card on Masonic symbolism. This is not always entirely convincing and -as mentioned- he does not only focus on Freemasonry, but it sure is amusing to look at the symbolism this way. Like Julian Rees, the author was initiated in a lodge working under the United Grand Lodge of England, but later joined a lodge working under the British federation of Le Droit Humain. Together with Rees he wrote More Light, which is actually quite like the present title. Both books are small (118 pages for the present title, 140 for the other). Both start with a general history of Freemasonry, later switch to “liberal” Freemasonry and the British federation of Le Droit Humain in particular. This book has more information about the origins and development of “liberal” Freemasonry, speaking of the Grand Orient of France, the Grand Lodge of France and Le Droit Humain. Then there is a chapter about political Freemasonry, esoteric Freemasonry and philosophical Freemasonry showing that there are different approaches within Freemasonry. Towards the end the author says a few things of the Appeal of Strasbourg which is a document made by “liberal” Masonic organisations to try to (re)form the “centre of union”. Partly as a result of this appeal two organisations were founded years later, Catena and C.L.I.P.S.A.S. trying to bring together different Masonic organisations and create ‘contemporary Landmarks’ which are less strict than the ‘ancient Landmarks’. Perhaps it is a bit more of an introduction into “liberal” Freemasonry than More Light so it could be informative not only for members of mixed-gender lodges, but also for members of “regular” lodges who want to learn a bit about “continental” Freemasonry. As the author says “The Stairway Of Freemasonry” is a follow-up of “Making Light“. A bit too much so perhaps. The present title is a collection of 30 short essays about a variety of subjects, but roughly the same as what is written about in the other book. There’s not only overlap between the two books, but also between different essays. Even though Rees addresses both the Mason and non-Mason in his introduction, several chapters are “for (second and) third degree audiences only” and even when considering the other essays I often wonder if they don’t give away too much to someone who is yet to be initiated. Even more so than in “Making Light” the book isn’t very ‘esoteric’, but rather slightly spiritual, but also still moralistic and with religious tones again. The book presents some nice thoughts and directions for the reader’s own ponderings, but I’m afraid that I find this book even less strong than its predecessor. This book has nothing to do with mixed gender or women’s Freemasonry. 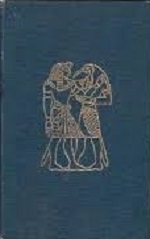 Rather, it is a book about UGLE ritual. 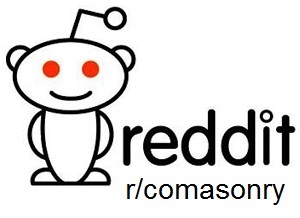 This review is for people with a general interest in Freemasonry. The author has a fondness for rituals. He collects them and tries to visit as many different lodges as possible. Even though there is some sort of general ritual for English lodges working under the United Grand Lodge of England, there is a lot of variation. The reason for that is mostly historical and so Gandoff sets out to find the oldest rituals and trace the changes throughout the centuries. The author starts his story way before the foundation of the “premiere Grand Lodge” in 1717. In fact, he starts with a general history of England to give some perspective to the rise of (speculative) Freemasonry. Then he writes about different periods, being: 1400-1620, 1620-1716, 1717-1730, 1751-1801, 1802-1718 and 1818 onwards. Each period has its peculiarities. Of course in the older periods the author speaks about “operative” Masonry and searches for the rituals referred to in the Old Charges. Also the exposures get many pages, since they probably give the rituals of their own. Gandoff also puts quite some stress on the troubled history of the “premiere Grand Lodge” with its rival Grand Lodge, the uniting of the “Antients” and the “Moderns” and what that did to the rituals and so on. He is not soft on the oddities and flaws of his own Grand Lodge either. The books gives a nice overview of the development of the rituals, the differences and how these came to be. The author tries to do this in a loose writing style that I don’t always appreciate, but that doesn’t mean that I don’t like the book. It would have been nice had it been a bit more in depth, but I guess it’s meant to get you studying yourself. Don’t buy the book at Amazon for $ 70,- by the way, just get it from the publisher for £ 15,-. The author has long been a Freemason, but around the time he was working on this book, he already contemplated the idea to switch from a “regular” lodge (working under the United Grand Lodge of England) to a lodge working under the British federation of Le Droit Humain. 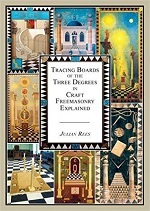 For that reason you will also find tracing boards of ‘irregular” lodges in this book. The book is printed largely (A4) and colourfully, but not with too many pages (about 100). It has a wealth of information on the symbolism of tracing boards though, also shedding light on symbolism in the rituals. This makes a truly wonderful book that is highly recommended to anyone interested in Masonic symbolism. A little warning. The book is divided over the three craft degrees, but don’t read parts about degrees you haven’t yet entered. That would give away too much. “Freemasonry – a history” the title says it all. The book is luxuriously presented, large, heavy paper, with many colour plates (mostly aprons), a bit like the popular books about the subject. This is no picture book though and actually the luxury format makes it a somewhat uncomfortable read. The book is too big and heavy for common reading. “The Crescent And The Compass” is quite a different book than Millar’s “Freemasonry, a history”. This is not the least because in the current book, the author walks new paths. According to himself, noone so far has investigated the influence of Freemasonry on Near-Eastern cultures and vice versa. The first half of the book is with quite a distance the most interesting part to me. Millar opens with a chapter about “Gnosis in Shi’ism and Sufism” speaking about initiations and the various kinds of the two named branches of Islam. Chapter two continues with a similar approach to Freemasonry and quickly runs up to the connections between Freemasonry and Islam, how Sufis became Freemasons and how ‘ideologically’ mixed orders were founded. Then Millar says a thing or two on how (Near-)Eastern religion influenced Freemasonry when Freemasons opened their eyes to exotic religions of the East. 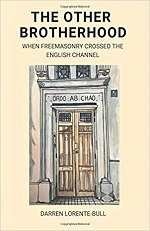 The strongest influences can be found in what Millar calls “Fringe Freemasonry”, orders that work similarly to Freemasonry, but are not recognised by Masonic bodies. Chapter two is informative and entertaining. Then we move to a Sufi Freemason that launched a revolution within the Islamic world to get rid of the colonists, but this revolution would eventually backfire and “Freemasonry” became synonymous with Western decadence in the eyes of many Muslims. In the meantime we learn about the first Muslim convert in the UK, about René Guénon and about anti-Freemasonry, a (to me) new look on the Ayatollah Khomeini and we swiftly roll into Jewish/Masonic conspiracies that followed the publication of the Protocolls of the Elders of Sion. The start of “Prince Hall” (‘black’) Freemasonry followed by black nationalism in the USA is followed by Anders Breivik and Prince Charles in three very different chapters. In his conclusion, and especially his afterword, Millar calls to us to develop new ways of looking at the world, especially the religion of Islam and its role therein. I mostly enjoyed the historical parts about Freemasonry in Muslim countries, but in general this little book (some 180 pages to read) touches upon subjects close to my heart. Numen Books has added an interesting title to their roster and seeing how much attention this book gets on Facebook, the publisher might reach quite an audience with this title and the author most likely a different audience from his less innovatory title of a decade earlier. Early 2018 a revised version of the book has been published.